Erato Audio has brought their wireless audio products on Indiegogo for a test run. The more attractive out of the two is the Muse 5, let’s find out why. The Muse 5 is modelled after their award-winning Apollo 7 which they had crowdfunded before. 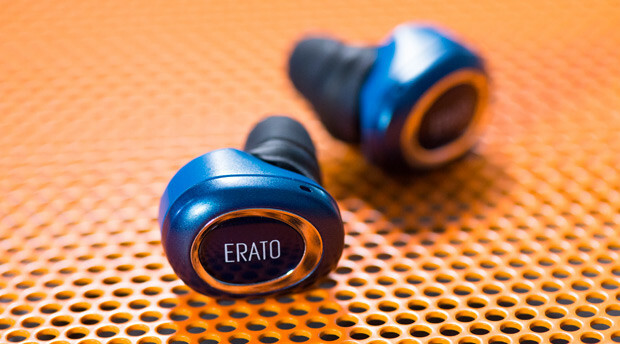 With the Muse 5, Erato Audio promises to give a comfortable fit while having a superior seal to keep the sound you want in while keeping the noise out. The buds that come with the product creates a natural seal on the outer ear holding the earphones in place. The wireless earphones come with a sleek charging case that will wireless charge the Muse 5 while on-the-go. The charging case itself needs to be plugged to be charged, but the earphones themselves only need to be dropped into the case. The charging case can recharge the Muse 5 up to 3 times giving you up to 12 hours of audio playback before the next charge. The Muse 5 is available in four different colours and the prices currently start at $99 with a charging case from Indiegogo. They currently have over $150,000 of funding, tripling their goal of $50,000, which will end in just a few more days.